Posted by erumiqbal in Uncategorized. Babra Sharif was the foremost figure in the our Pakistani film industry during the 1980s and late 1970s. She started her career with some commercials. 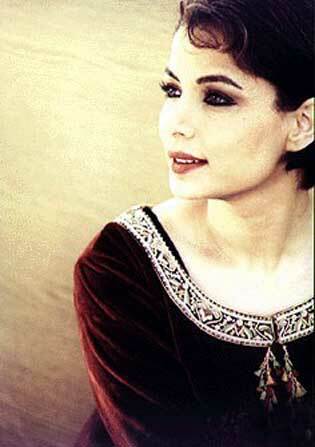 She worked with many famous names like Shahid, Nadeem, Waheed Murad, Ghulam Mohyedin and Muhammad Ali Sahab. She had great success in Urdu films in Pakistan. Babra Sharif did a variety of roles which proved her versatility as an actress. Babra Sharif acted in more than 100 movies and her first film was Shamim Ara’s “Bhool” in 1974. Soon a string of super hits followed such as “Aag”, “Salakhain”, “Baaghi Hasina”, “Miss Hong Kong” etc, but her success graph moved swiftly upwards, making her the most sought after and highly paid actress of all time. Babra Sharif was barely 12 Years when she appeared in the famous ad and was immediately signed by Shabab Kiraanvi for “Mera Naam Hai Mohabbat”. Her entry into movies became something of a phenomenon because the famed film producer took Babra on without a screen test. People were surprised at Shabab Kiraanvi choice of a heroine opposite Ghulam Mohiyuddin for a movie demanding high emotions. For over two decades she was the number one of the Pakistan film industry. Her name in credits ensured success at the box-office. Babra Sharif went on to become Lollywood answer to glamour, style, versatility and an alluring, on-screen appeal not even remotely upheld by her successors. Her reign as Pakistan most successful actress lasted more than the career span of all those who later followed the diminutive diva into the film industry. Babra Sharif received a Nigar Award for “Shabana”, a super hit, and another Nigar Award for “Tina” and had received this Award 8 times. In 1978 she married to film star Shahid, but the couple soon divorced. She also worked in Nadan Nadia, a Pakistan television comedy play by Anwar Maqsood. She also did Lux 50 years celebration commercial. Babra Sharif currently owns a jewellery shop in Karachi. Believing in bowing out gracefully rather than being booted out, Babra Sharif was still a lucrative name when she called it quits ·A lesson that needs urgent learning by some of the later-day heroines. Since her departure, Lollywood has not been the same. It was not simply a matter of matching her success graph as no heroine was able to cross the long distance between becoming an actress and reaching an icon status. Babra Sharif did that. She holds the distinction of covering that distance to be called a beauty icon, a title not awarded to anyone in the 50-plus years of Pakistan film industry. In a star-studded Lux Style Awards ceremony held in Karachi in 2003, Babra Sharif name was announced for the beauty icon award.